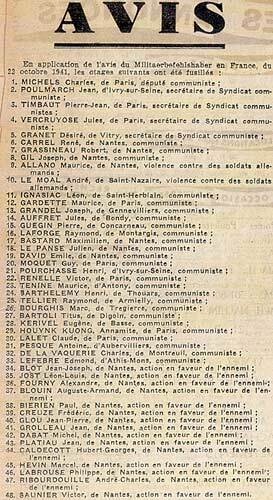 On “a beautiful autumn day” this date in 1941, four dozen French leftists were executed by that country’s occupiers as punishment for the murder of a German officer. 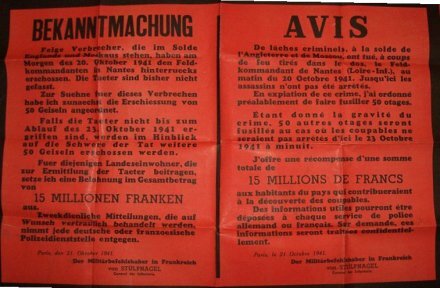 On October 20, 1941 — sixteen months into the German occupation — a pair of Communist commandos assassinated the Feldkommandant of Nantes, Lt. Col. Karl Hotz (French link). News of this crime went straight to Adolf Hitler himself, who personally ordered a fearful reprisal. 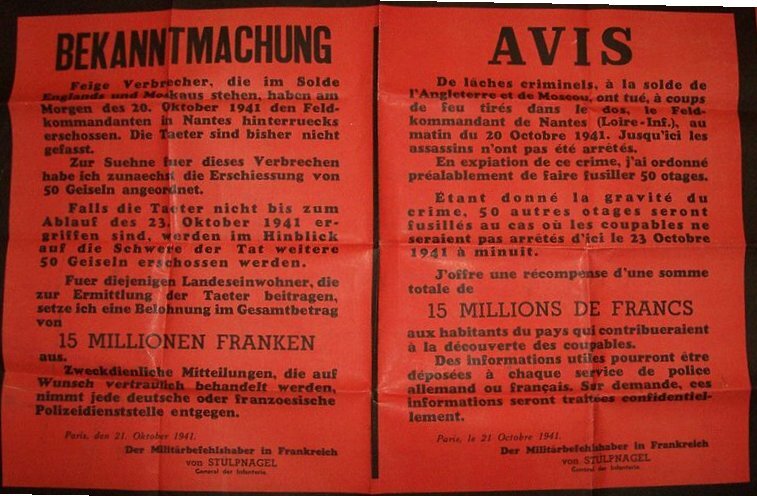 Accordingly, the collaborationist Petain government was induced to select 50 persons from among the ranks of detained German political prisoners. 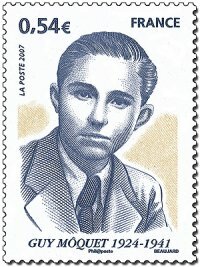 Pierre Pucheu, who would later be executed himself,* intentionally selected Communist types in an effort to confine the retaliation to fellow-travelers. 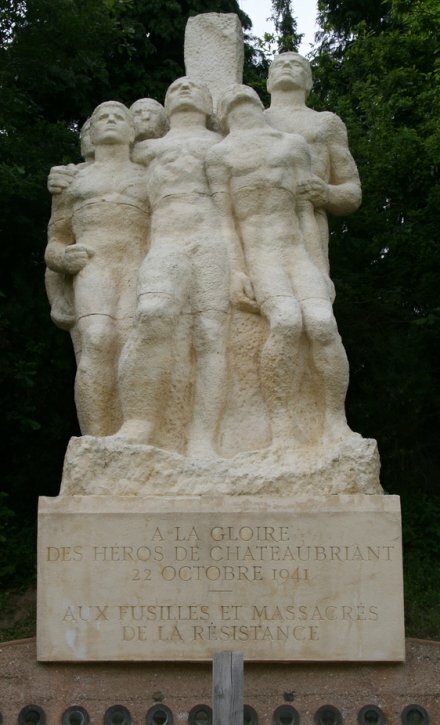 Monument to the martyrs of Chateaubriant. Image (c) Renaud Camus and used with permission. The youngest, 17-year-old Guy Moquet (you can find his name on the Paris Metro) was the son of an exiled Communist parliamentarian (French link). There’s a thorough roundup of the Oct. 22 executions (including poetic tribute) here.